Poor little Gertie is out in the snow with a high fever and no one to care for her until the old lamplighter comes by to light the street lamps. See how God fills the life of this dejected and neglected little girl with hope as she becomes a virtuous young woman. 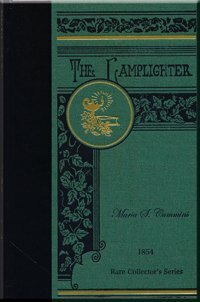 The Lamplighter is particularly a great book for young adults who are shaping their standards in relationships prior to marriage. This book has left such an impression on my life that I decided to name our ministry Lamplighter Publishing! Interesting Facts: First published in 1850, The Lamplighter outsold The Scarlet Letter ten to one and was second only in sales to Uncle Tom's Cabin! This book was a huge and immediate success - selling 40,000 copies in a few weeks and 70,000 in a year!